Everyone could use a good drink after fighting off a Berserker or slaughtering an Alghoul. Share a shot with comrades with this Deluxe Witcher Flask set. Comes complete with an 8 oz. 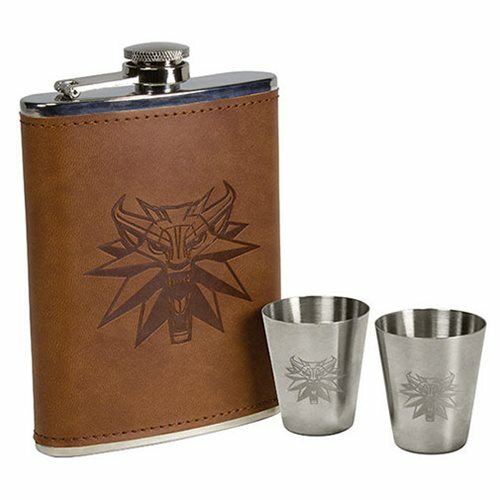 faux leather bound flask and 2 individual metal shot glasses, all tooled with the iconic Witcher wolf head emblem, and a funnel for easy filling. The shots and flask are made from stainless steel and are packaged in a high-quality gift box.